Cambodia. 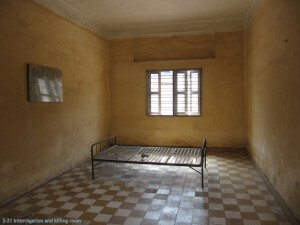 A place of smiles, Angkor Wat temples, and killing fields. The smiles are genuine, a reflection of natural Cambodian courtesy and honour; the temples are a cultural wonder of the world; and the killing fields a reminder of the dark side of humanity. Given certain conditions genocide can happen anywhere. 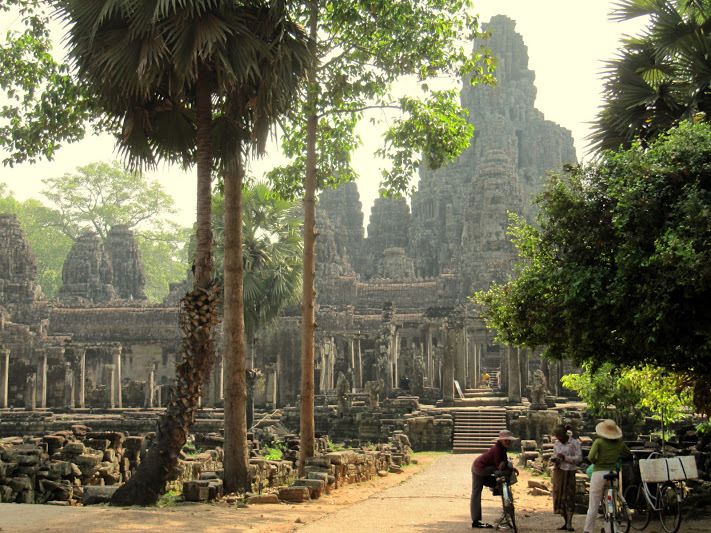 One of the poorest countries on earth, Cambodia is struggling to get back on its feet again. Tourism is helping. Forget Vietnam, Cambodia is the place. The Vietnamese don’t really care for foreigners. There is an innocence here, together with a hard-headed recognition of the unfairness and inequalities of life. And deep self-protective suspicion. All of this nurtured by an ancient culture which under a façade of democracy, continues to function in a familiar system of patronage, nepotism, and exploitation. And suffering. The scale of it is unquantifiable. This country has been abused by its own leaders, invaded by neighbours, and bombed by the USA. But worst of all was the auto-genocide. 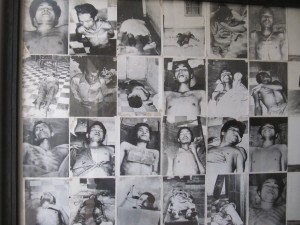 Cambodians killing Cambodians. From 1975 to 1979. 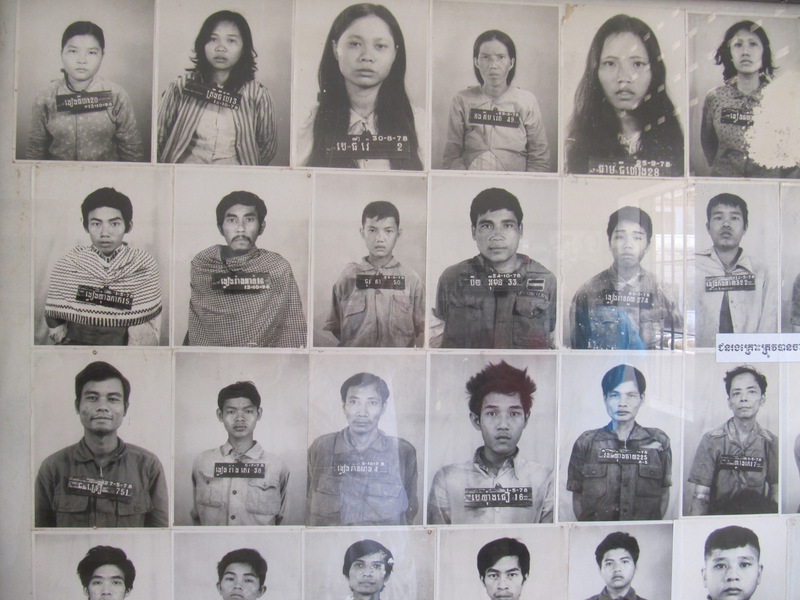 During that period, Pol Pot and his Khmer Rouge unleashed a totalitarian horror on their own people as they attempted to restructure Cambodian society in one foul bloody effort. 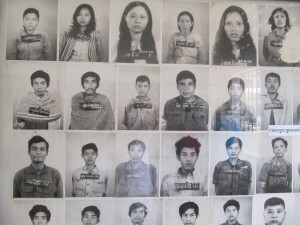 Estimates vary, but it is reckoned that he, his government and his cadre murdered about one and a half million Cambodians in their paranoid effort to make pure revolution. 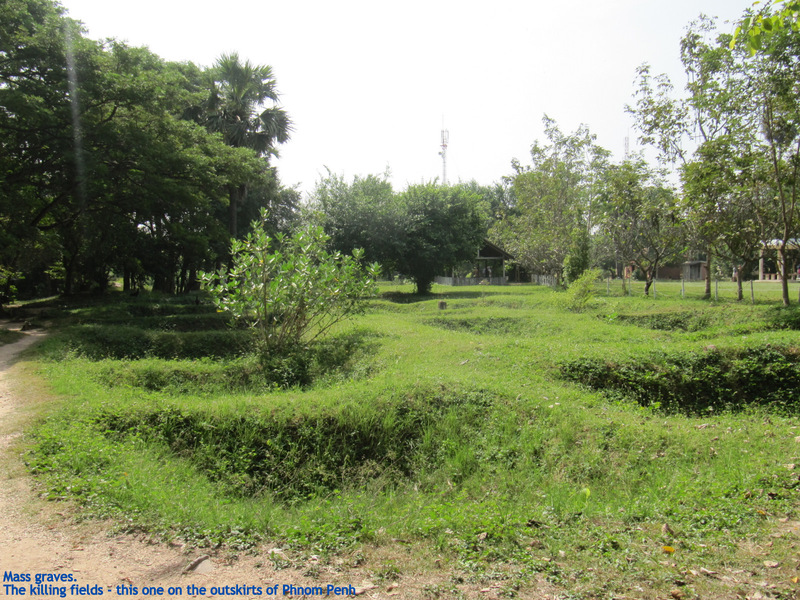 And if that recent obscenity was not enough for a long-suffering populace, today Cambodians, most of them poor farmers, continue to be blown up by antipersonnel mines which litter the countryside. I have seen the results. Nowhere on this earth have I seen more limbless folk. This is a continuing crime against Cambodian humanity. 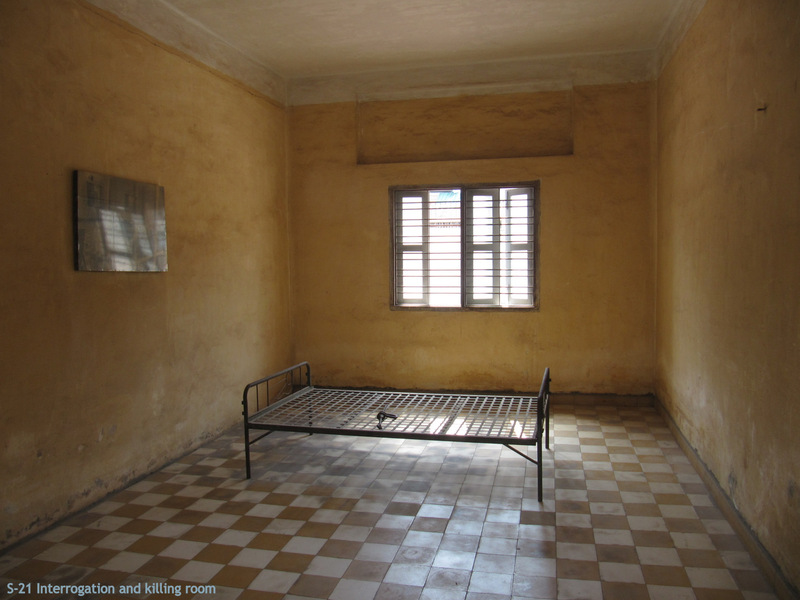 How to describe the torture-house of Tuol Sleng in suburban Phnom Penh where 14,000 victims endured indescribable suffering before they were trucked to the killing fields a few kilometres away and despatched by a blow to the back of the head with a blunt instrument. See the mass graves, hollow indentations in an ordinary looking field. Note the tree where young children were swung by their legs and had their heads smashed against the trunk. 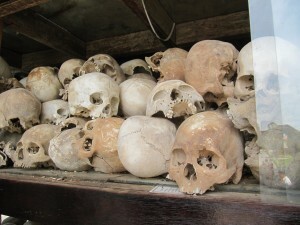 Observe the skulls of victims stacked uniformly in an otherwise unremarkable public memorial to their annihilation. We know a lot more about genocide now. These evil happenings are never spontaneous. Certain conditions precede and maintain these murderous eruptions.